Even before you hear the distant jingle of bells emanating from Santa’s sleigh, the one tell-tale sign that the holidays are quickly approaching is the sound of Christmas music. Whether through the radio or putting on your favorite mix of holiday music it’s a constant reminder us of the joyous days ahead. Luckily, Skatter Tech has some holiday headphone recommendations so you can get the most out of your music this season! Be sure to browse through these before giving someone a pair. Punchy, fun, and energizing, the Koss KSC-75 clip on headphones offer incredible value for the money. Utilizing the same drivers as Koss’ more expensive and popular PortaPro, the KSC-75 lets you listen to your holiday tunes with precision while on the go. 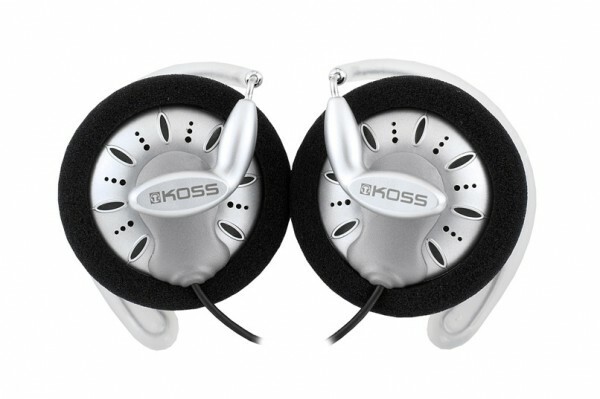 The KSC-75’s have a rubber coated wire clip to secure them to your ears. This clip is bendable to be compatible with whatever shape your ear may be. While sounding fragile, the KSC-75’s are quite durable and will not cause a fit being tossed around. Sound-wise these headphones are very engaging and bright. They bring you into the music in an engaging and energizing way with surprisingly good bass impact for such tiny drivers. Mids are pronounced and forward. The only thing lacking with the KSC-75’s are slightly veiled highs. At around only $15-$20 however, the KSC-75’s have great bang for the buck! For the more laid back and relaxed listener the Sennheiser HD201 full-size, circum-aural headphones are great for the house. The extremely lightweight (yet durable) HD201’s carry on the great Sennheiser-house sound-signature of its extremely well revered and more expensive brethren. The HD201’s feature a generous 9.8ft (3m) long cable along with a 1/8″ (3.5mm mini) to 1/4″ (6.3mm) stereo jack adapter for your high end audio equipment. The long cable allows you to move about a room while listening to your music unimpeded. The leather ear cups are adequate and don’t cause any sweating issues. 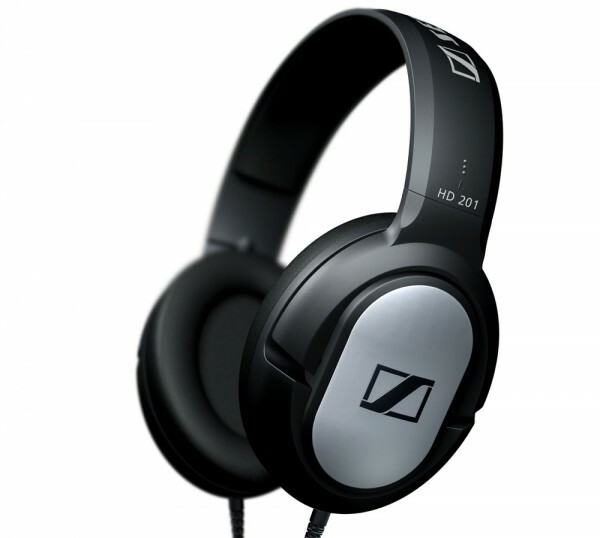 While not the absolute cleanest sounding headphones, the HD201’s carry the Sennheiser house sound of being laid back. They offer a pretty decent sound stage with a neutral, unaltered sound giving you your holiday music just as the artist intended you to hear it. The bass extends accurately down well, although lacks slightly in impact (you definitely hear it, but doesn’t have the big OOMPH!). The midrange of the HD201’s is accurate and true, not recessed and not too pronounced. 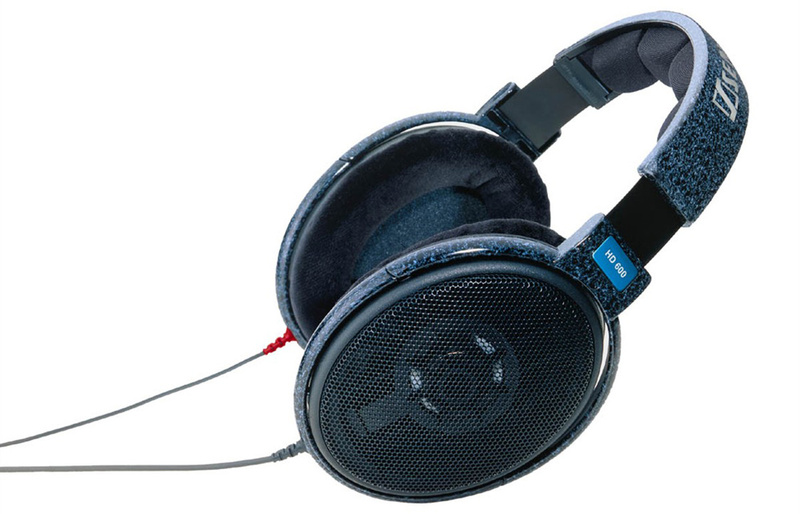 The high’s have accuracy and clarity that many other headphones lack, with a slight roll off. If your ideal holiday season is sitting bundled up in bed with a cup of hot chocolate reading your favorite Christmas story, the HD201’s make a great companion. A common sight in recording studios all across the nation, the HD280 offers professional sound in an innovative package. 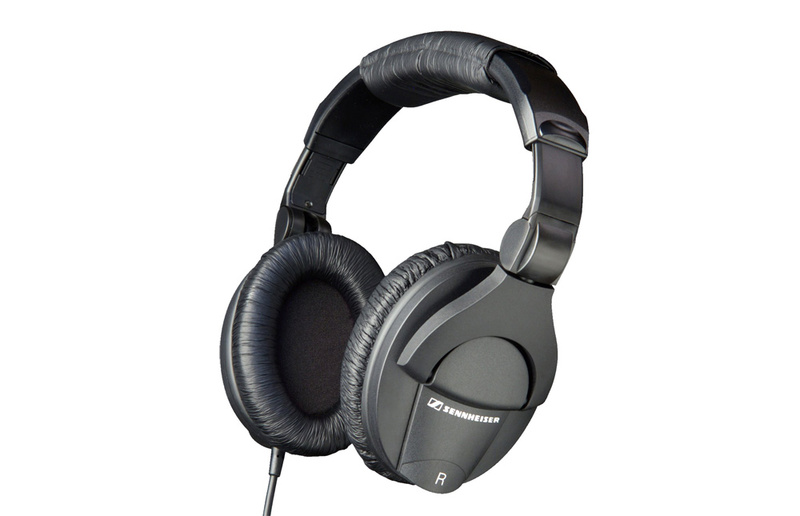 The HD280 is very robust and durable headphone designed with sound accuracy in mind. With great sound attenuation (up to 32dB) the HD280’s will let you listen to your holiday tunes in peace even if family and friends are being noisy. Should you need to get on the go, the HD280’s conveniently fold up into the headband for efficient storage. To ensure recording studio accuracy, the HD280’s have a very flat frequency response. The bass extends down far and comes out tight, accurate, and clear, although slightly lacks impact. The mids are delightfully crisp, clear, and precise revealing every last detail. On the high side, the sounds are clear and articulate, a nice detachment from the airy and veiled sound from most headphones. Overall, the sound is analytical, while not injecting any extra excitement or energy into your music, the analytical sound lets you pinpoint every detail for the more accurate and true to recording sound. 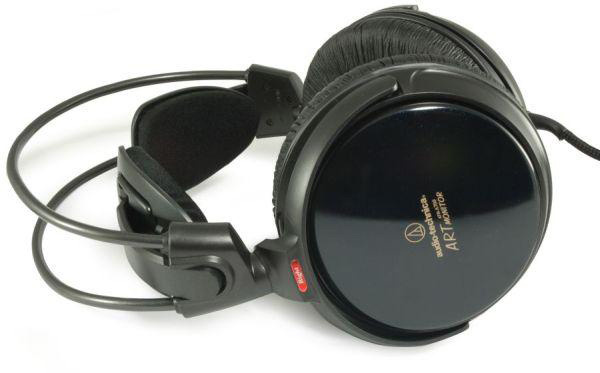 Accurate and precise like a samuri’s katana sword, the Japanese Audio Technica ATH-A700 features a space-age design that creates a functional and clean sound. The unique headband cushions and deep ear cushions on the A700 provide an extremely comfy experience complete with a great sound. With a broad soundstage, the A700 ensures a rich and full sound experience. The bass is deep, tight, and has an authoritative presence. Moving into the mid-range you’ll glide right through its smoothness and silky-ness which extends seamlessly into the clear and revealing highs. The sound is very articulate, letting you pinpoint all the different elements in the music. Overall, the sound provided by the A700 is a very passionately constructed experience. If by chance you absolutely, positively cannot make the local and extravagant Christmas concert, sitting down with the Sennheiser HD600’s at home later is likely to make you forget you missed anything at all! The rich and enveloping sound of the HD600’s will instantly transport you to your own private concert giving you a front and center seat. Innovatively, the HD600 is constructed in an open backed design in oder to prevent reflected sound waves distorting the ones going to your ears. Large cushy velvet padding keeps your head and ears situated perfectly throughout your listening time. Being an audiophile grade headphone, the HD600’s require a headphone amplifier in order to be driven to its fullest potential. While still sounding great even without an amplifier, would you run a 91 octane sports car with only 87 octane grade gasoline? The wide soundstage of the HD600 puts you dead in the center of a broadway concert hall with the music flowing from all directions. Deep and clear lows contain the perfect amount of impact while staying tight and punchy. The mids come through richly, yet accurately and perfectly balanced. The singers sound as if you’re the only person in the auditorium and they’re singing just for you. Up high the HD600’s provide crisp and clear sound that brings through details that most other (including good) headphones recess. The combination of such a balanced and true sound is total audio euphoria.